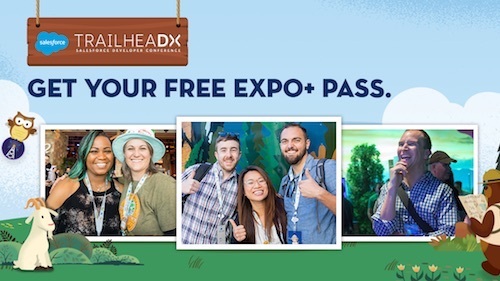 This week’s Salesforce Developer Conference, TrailheaDX, was all about learning. 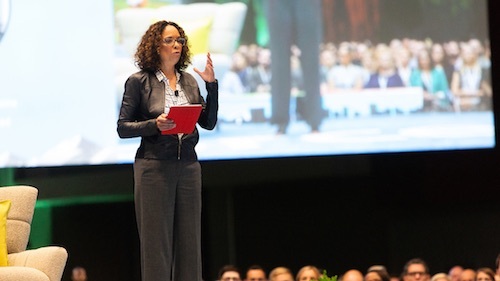 Over 4,000 developers who use, or simply want to better understand, the Salesforce platform got together for two days of hands-on training, immersive discussions, and fun. Commerce Cloud joined for the first time this year, and had the opportunity to showcase our platform while also seeing what developers are focused on: from strategies, to tools, to future innovations. Innovation means change–sometimes constant change. Ecommerce developers hoping to stay competitive simply can’t afford to start from scratch. That’s where a reference architecture comes in. Think of reference architecture as your blueprint–a starting off point. A complete and customizable ecommerce storefront designed with mobile best practices that helps merchants get to market faster. Using an MVC architecture, modern development tools (GIT, Jenkins, GRUNT) and frameworks (bootstrap 4) development teams can customize efficiently while maintaining upgradeability. AI is already making huge transformations in people’s everyday lives, and retail is no exception. As cars, cell phones, even household objects, become smarter with AI, consumers will come to expect AI in their online shopping experience as well. For example, by adding only one line of code, Black Diamond achieved a 15.5% increase in revenue after implementing AI into its ecommerce site. They used best practices, like featuring personalized recommendations on a “no results” search page, to keep customers engaged as they browsed. It’s clear that developers who want to build effective ecommerce experiences must harness the capabilities of AI. And it’s easy to do! Developers can quickly embed Einstein into their sites with just a few clicks. Mobile has been one of the most disruptive forces in retail, that’s no surprise. Developers have been building responsive websites that work on both desktop and mobile for a while now. But that’s no longer enough. Mobile is now the number one traffic driver to retail sites, with 53% of buyer traffic attributed to those on a mobile devices. Without a doubt, developers need to think mobile-first! This is especially important when consumers are browsing and searching on their phone. A good mobile experience can mean the difference between a purchase and an abandoned cart. Commerce Cloud is removing the barriers to mobile commerce thanks to new innovations like Mobile-First Reference Architecture and new Mobile Payment Accelerators – Apple Pay for the web and Android Pay. With a mobile-first focus, Commerce Cloud is improving conversion and ultimately enabling merchants to grow mobile revenue. The biggest impact your website can have on a customer is a tailored, immersive and memorable shopping experience. Priority one should be to build custom experiences that consumers can’t get anywhere else. Now, you may be asking yourself: “but, didn’t you just recommend using blueprints? That doesn’t seem custom.” Ah, but that’s where you’re wrong. No two Commerce Cloud sites look the same. Reference architecture is simply a way to jumpstart your site with data-driven recommendations. Developers have access to every pixel on every page. You can create rich, customized online experiences, tailored to fit your stores and your unique customers. Yes, custom apps and experiences are quite a lot of work, even with the help of a reference architecture. But, you don’t need to do it all yourself. Honestly, you simply can’t if you want to move quickly. Developers can extend core functionality and customize brand experiences with a little help from a rich ecosystem of partners. 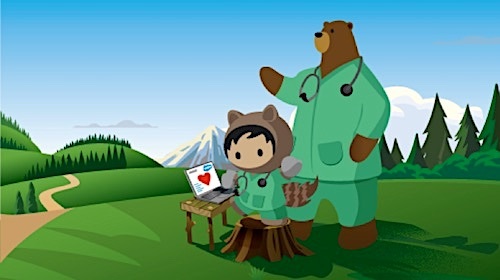 Salesforce customers may already be familiar with this concept–it’s the driving force behind the successful AppExchange program. Because Commerce Cloud is an open-API digital commerce platform, you can tap into the LINK Marketplace, where you’ll have access to certified pre-built integrations from a trusted network of technology providers and systems integrators. You can even become a partner yourself. 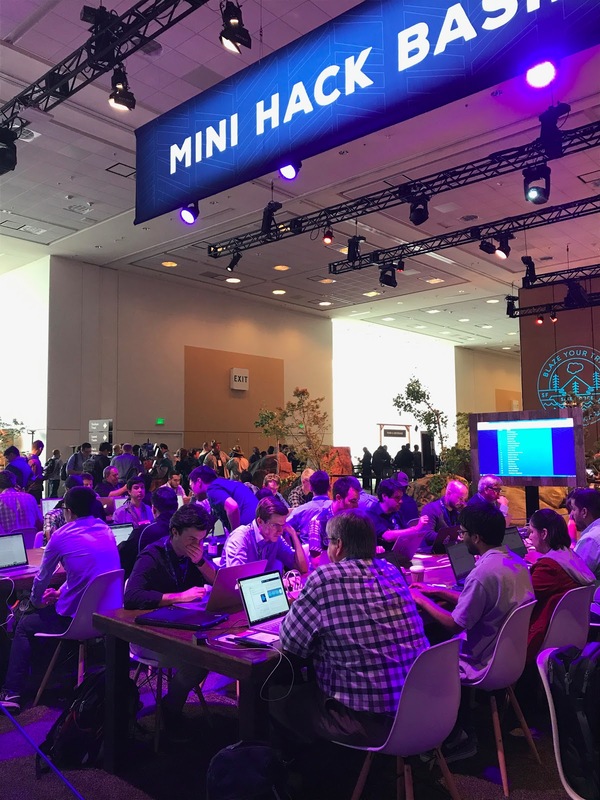 If there’s one thing that stuck with us after leaving TrailheaDX, it’s that successful developers are eternal students, always learning. So, how do you stay on top of the latest solutions and features of Salesforce? With Trailhead, the fun way to learn Salesforce! These trails not only make you a stronger, more knowledge, and more marketable developer, they’re designed to help inspire and motivate you as well. 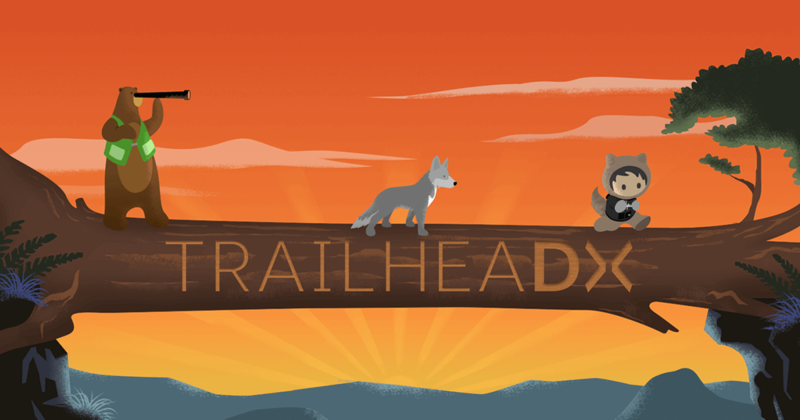 If you haven’t already, take these trails to earn your Commerce Cloud badges.